[New for 2016, dropped destination branding in 2017] Let's continue our journey through the Haaagen-Dazs destination series with tamest of the flavors. Nothing crazy here, just quality. OH MY! SO PRETTY! MINE ALL MINE!! So rich, so fancy, so stracciatella-y! There's not a whole lot to say here. 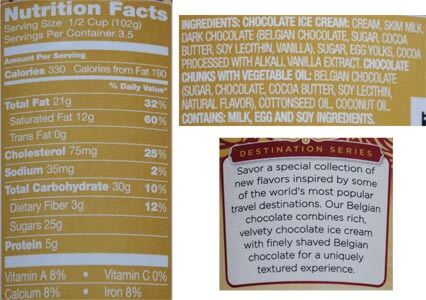 HD's quality chocolate ice cream and so many tiny itty bitty bits of chocolate everywhere. Definitely for those who love a gritty component to their ice cream. There are no big bits here. Just slow scoop and enjoy. On Second Scoop: If you think you won't enjoy this one because you prefer a nice thick swirl, then just save your money and get something else. That's really the only advice I can give. A fine flavor with the added boost of an undercurrent of fine chocolate. It is what it is! 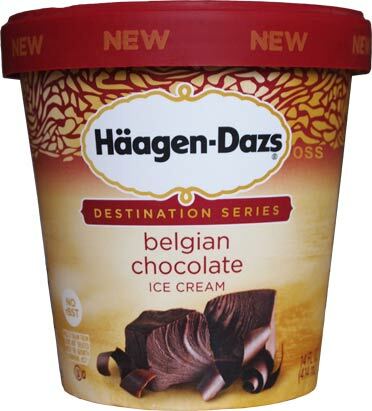 I'm usually not a chocolate ice cream fan, but this truly is divine. This is the only flavor I have yet to get from the new HD lineup (they ran out at my ShopRite so I have to go back to get it). It's looks amazing in it's simplicity! So... does it taste any different than their regular chocolate? Do the flakes alter the flavor? I really enjoyed this one. It's very rich. It reminded me of a good truffle. As much as I liked this one, I liked the Mayan Chocolate more. I'm looking forward to your thoughts on it. Actually, the only spice used is cinnamon. No heat whatsoever. Don't be afraid. Thanks for the swirl alert/warning; I will skip this one. Looking forward to Nick's review of the Mayan pint. I'm also hoping he will review the new Fiber One pints if he's able to find them. I know they'll probably stink but am still hopeful and curious. I love the Mayan chocolate as well. Yummy. And I agree that it's not spicy. Just cinnamon. The Belgian chocolate is nothing like the regular chocolate. It is much more decadent. 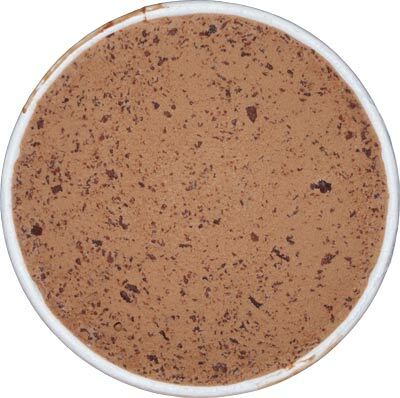 I usually avoid ice cream with shaved or chipped chocolate because the wax tends to be a stronger flavor. It also makes the chocolate tough to melt so I can truly enjoy the additional chocolate. This flavor, however, it exquisite!!! I hope it stays a permanent option, because I almost lost my mind when the store was out!